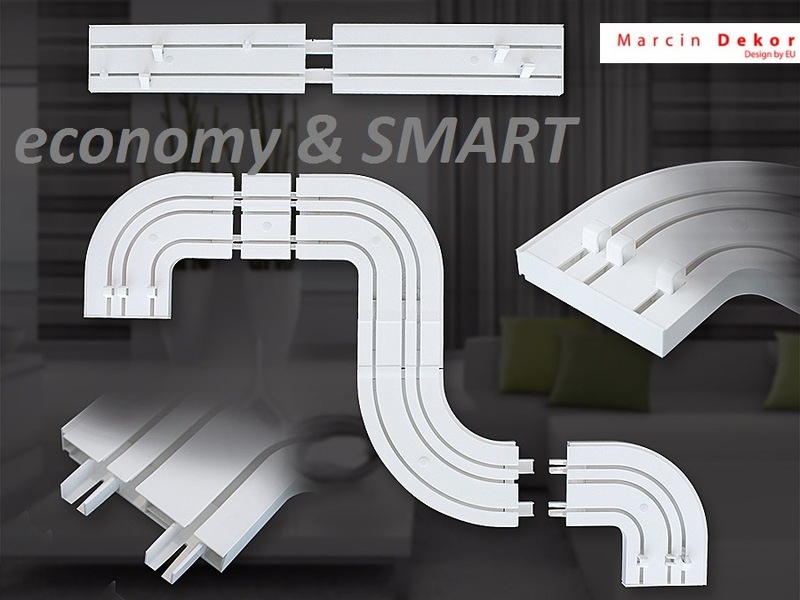 System of ceiling rails is a universal and at the same time economic version of a curtain rails installed on the ceiling. 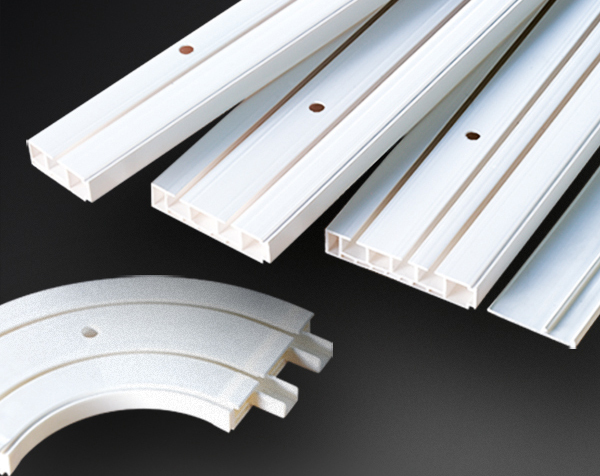 It is frequently used in the ceiling recesses, which are so popular these days. Ceiling rails may be completed with matching screens, which will finish the top part of the window decoration in an aesthetical way. Rails, pass-through arches and finishing arches, as well as all other elements of the system are made of PCV what ensures quiet work of the system when the curtains are pulled to the sides.